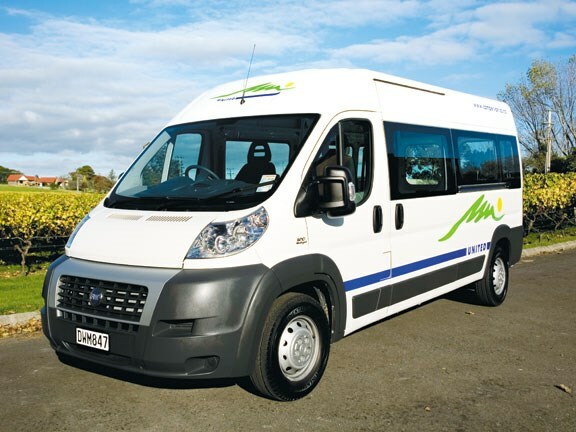 This stylish two-berth vehicle is built on a long wheel base Fiat Ducato, which provides a spacious living area. It is much bigger on the inside than it appears from the outside. And, it will easily fit on a small section and can be used as a second vehicle. The Fiat Ducato has a wide wheelbase and holds the road well. It is powered by a 2.3-litre turbo diesel engine so has plenty of power on the hills, while being extremely economical. With excellent driveability, it is of a size that means everywhere is accessible and parking in town is easy. The cab is very comfortable and, with two swivelling bucket seats, allows you to create a second area in which to relax. It is well equipped with a radio/CD player, armrests, cup and bottle holders, air conditioning, power windows, remote central locking, dual airbags and alarm system. A dash-mounted gearshift and cruise control make driving very easy and also mean there is plenty of room to get through to the rear of the vehicle. The interior is well appointed with a TV/DVD player, gas cooker, fridge, microwave, hot water, shower and toilet. It even has a gas heater. 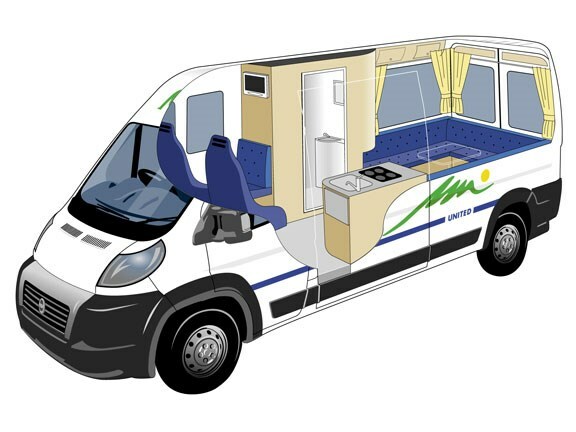 For such a small van, the shower and toilet area is well designed, with an electric flush cassette toilet, shower and hand basin. The bed is situated at the rear and can be used as two singles or a large double. This space also serves as the dining/entertainment area. A third seat positioned directly behind the driver is suitable for a baby or small child and converts to a bed. With big picture windows, a side entry and the back doors that open right back, you get that feeling of being part of the outdoors. By adding an awning you can extend the living area. To read in-depth RV reviews see the latest issue of Motorhomes, Caravans & Destinations magazine, onsale now. See a range of two-berth motorhomes for sale here.